Today, the world is increasingly globalized and pluralistic that every region and country cannot live without the international society. The diplomatic situation of Taiwan is harsh, and the ideologies in the island are diverse. Therefore, it is essential for Taiwan to understand other countries for the sake of proper decision-making on diplomatic issues and international relations. In international politics, the relationship between China and Taiwan is sensitive and complicated. There are so many ways of interpreting political and social affairs of Mainland China and cross-strait relations. Without the guide of microscopic views one may possibly get lost in certain ideologies and events, not to mention to give appropriate explanations. Historical studies thus play an important role to provide us a long-term perspective for observing and explaining the transition of modern China, and to help us to reconstruct historical realities by means of various materials and comparative approaches. 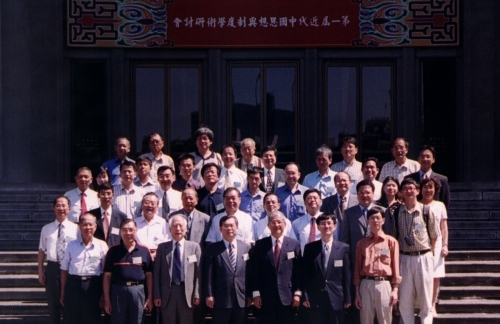 With the aim of promoting researches into modern Chinese history, the “Center for Studies in Modern Chinese History” has been founded since April 2003. The Center attempts to integrate academic activities in relation to modern Chinese history, to incorporate different resources for researches and database establishment, and to improve scholarly exchanges between research institutions at home and abroad. These works will undoubtedly help to broaden and deepen scholars’ views in the researches on modern Chinese history.